Narasimha, Half lion half man avatar is the 4th incarnation of the God Vishnu. The Narasimha is always shown with a lion face with half man with clawed fingers fused within the body of Hiranyakashipu. 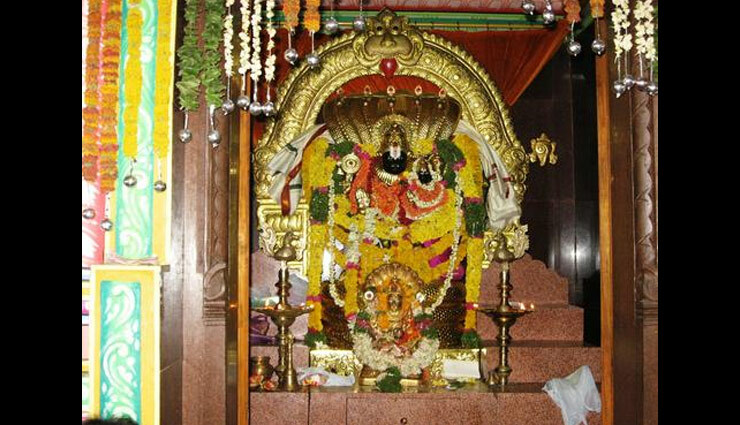 Lakshmi Narasimha Temple at Yadagirigutta is dedicated to Lord Narasimha, an incarnation of Lord Vishnu. There is another most famous temple of incarnation of Lord Vishnu at Simhachalam, Varaha Lakshmi Narasimha temple. Narasimha Swami Temple at Ahobilam is most famous historic temple of Lord Narasimha in India. The temple is located at Allagadda and a very beautiful place to visit near Kurnool. Yoga Narasimha Temple at Melukote taluk is the most sacred places in Karnataka. The place is famous for Cheluvanarayana Swamy Temple and Yoga Narasimha Swamy Temple on the top of the hill. Varaha Lakshmi Narasimha Temple at Simhachalam is one of the 32 Narasimha temples in Andhra Pradesh and important centre of Vaishnavism in India. Shri Laxmi Narsimha Temple is located at the confluence of Bhima and Nira river in Pune district. 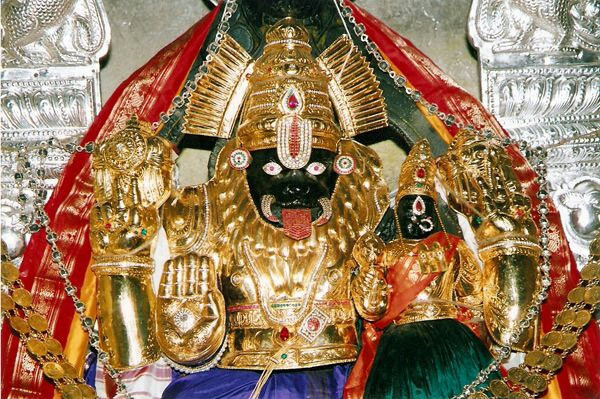 Lord Narasimha temple is family deity of people from Maharashtra and Karnataka.